"The Top Ten Best Selling Zombie Books Of All Times!" As of resent years, zombies are crawling out of their tombs and deep graves and are now openly challenging vampires for their centuries of un dying popularity. Today one hears many fictionalized tales of the walking dead, and reported as real life accounts, to too often not just passed down in strange oral traditions. As we are aware in Zombie Culture Today. That of many feature length films, such as those made popular by Romero's many fantastic living dead movies. , Historical documentaries, television shows, and comics. They are believed to directly portray these re animated corpses as nothing more then a creeping virus that plagues in the 21st century. Including a undying lust to eat human brains. But what tales of Hoodoo -Voodoo Zombie Kings and their undead Queens have been overlooked. These truly immortal creatures of perfect zombification. The top ten great books listed here are what many believe to be the definitive sources for all that is truly leaving its zombified mark in the world today. And by all accounts, real Zombimania seems likes it is here to stay. 4 Skulls- The best of the best- Don't miss out on these Best Sellers! It may save your life! A must read before you become the next one infected! 5 Skulls- The greatest Of all times certainly the best of the best- If you don't own it you are truly dead! This Zombie Book has real Bite! "When it comes to real information on zombie truths this book devours all the others heads off"! Brad Steiger has dug up and and resurected the truly undead. In his latest work he has by his observations brought to life the perfect billiant masterpiece of zombie books to investigate. It's many filled pages separating the true fictions from the real facts. I highly recommend this work as the perfect comprehensive best seller to any library of occult and and paranormal sciences. A must have for all serious students and researchers of true Zombie Lore and Legends. This Book will of course to me ... In my humble opinion, is, the "Best Selling Zombie book Of All times"! Steigers work is the perfect appendum to anyone who needs to find out all the real secrets to how to make a zombie or destroy one! When asked to review these books and give my rating I was more then pleased to take on the task with no fear or trepidation. I Chase Mason stand by my ratings and believe no one can or will defy the results. In the world today there is no book other then Real Zombies, the Living Dead, and Creatures of the Apocalypse Brad Steiger more then just comprehensive and unsettling study. In truth I recommend this as it is the first generation Zombie Book Of It's kind! Steiger directly addresses, explores and brings forward into the spotlight the many strange traditions too often shrouded in secret throughout the world. His mission I believe is to dispel the normal sorted beliefs and misunderstandings and the more then just common depictions of what we believe to be the real zombies today. In this book I feel Mr. Steiger has set a high precedence for others to dare only to follow. I believe that this book will be the standard by which what many new zombie trends will now forever emulate, copy and measure. I Name This The Number 1 Bestseller of all times 5 skulls! Simply the greatest and "Best Zombie Book Of all times!" 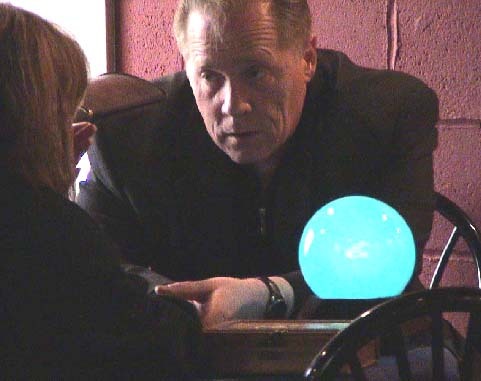 Brad Steiger is what I call the Grande Master of the Paranormal world with his more then many excellent works over the years that have touched the publics haunted curiosity bone. Real Zombies, the Living Dead, and Creatures of the Apocalypse is not an exception to this rule. If you have not read this more then excellent book, I suggest you do so today. Through Steiger's many well researched and respected volumes over the years of real eye opening insights, he has brought many new researchers and supernatural investigators to the popular front of the paranormal community today. Including myself. "In his very well written newest best selling definitive book, Real Zombies, the Living Dead, and Creatures of the Apocalypse, Visible Ink Press." "Mr. Steiger tears down the myths and taboo's and plainly opens the doors to what many actually fear concentrating the real endeavors of those that practice the black arts of voodoo hoodoo zombification." "Steiger explores the real truths and legends in the world of real human zombie research of today." "And I am more then glad I personally could contribute the tales I have learned over the years, because they needed to be told before they became lost in history forever." "This more then just exceptional exquisite work. The pages filled with art and tales that actually features many chilling first hand accounts and passed down stories of reported real-life zombie encounters from past and present." "And in reading this you might just start become a true believer in what real reported Zombies are all about." This more then fascinating assorted collection I believe when it comes to real information on zombie truths this book bites all the others heads off"! The many fact filled pages includes the intense researched stories by Haunted America Tours Senior writer Alyne Pustanio of the evil spawn of Satan, The elusive supernatural "Devil Baby of Bourbon Street", a monstrous creature complete with sharp horns and a long pointed tail that still lurks in the shadows of the New Orleans dark haunted alleys and neighborhood streets. And what of her haunted tale of Violette- New Orleans True Zombie Child. A tale so horrid of the recent past it could be ripped from the headlines of today. As a writer, historian and folklorist, and one of the founding Head Staff members of Haunted America Tours, Alyne Pustanio has contributed many of the true tales of terror and fascination that have been featured on its pages over the past several years. A New Orleans native, her roots go deep into the local culture: a descendant of Portuguese and Italian immigrants who can trace their ancestors to European gypsies, she was exposed to the mysteries of the occult at an early age. Two great-grandmothers were gifted and sought-out mediums and readers; one other relative is a verified psychic; and her mother, an avid spiritualist for most of her life, led forays into the world of the paranormal and unexplained when Alyne was still a schoolgirl. It was at her mother's side that Alyne met some of the early paranormal greats such as Hans Holzer, Lori Poe and Jeanne Dixon. First-hand experiences with the denizens of the unseen (she has lived in haunted houses and around haunted people all her life) and her own intuitive-psychic nature caused her fascination with the paranormal to grow; her avocations in folklore and history only complimented this interest and have produced a passion that is immediately obvious in all her writings. She has contributed studies that have spanned many traditions -- from Marie Laveau, voodoo and the culture of New Orleans to essays in the magical traditions of Europe to real-life accounts of harrowing hauntings, and beyond. Recently, her interest and dedication to all things paranormal has produced a collaboration between Haunted America Tours and one of the newest and fastest growing science/paranormal/fantasy conventions in the region, BabelCon. Under her direction Haunted America Tours will anchor the paranormal track for this convention in July of 2008 with many of the best-known investigative groups and experts in the field already slated to participate. When she is not writing or developing material for Haunted America Tours, Alyne enjoys participating in Renaissance festivals and medieval faires throughout the region where she has presented her own experiential discovery of her gypsy heritage with others dedicated to the gypsy way. A November child, she loves dark, brooding, grey days, cold weather and thunderstorms; anything to do with the British Isles, the American Civil War and New York City; reads the works of Samuel Taylor Coleridge, Edgar Allan Poe, Christina Rosetti, and Tolkien, admires Milton, Blake and Machiavelli, and is a student of modern writers John Michael Greer and Joseph Liewsienski. Other than Haunted America Tours her favorite website is School of the Seasons; she roots for the Yankees and the New York Giants; enjoys watching the paranormal on TV (prefers "Most Haunted" to "Ghost Hunters") and at the movies; and likes to garden. Her favorite Mardi Gras parade is the Krewe of Mid-City, her favorite color is black and she lives in New Orleans with her teenage daughter, a black dog named Shadow and a black cat named Sweetie. Black Mama Couteau the often thought of as very strange and real evil Texas Voodoo Queen and the stories of her and the great zombie war, this tale is told by by Lisa Lee Harp Waugh the well known American Necromancer. In Waugh's recounting of these Texas tales and obscure stories that she heard growing up in the very haunted town of Marshall, Texas. Waugh relates a curios snippet of an army of many hundreds of zombie soldiers battling for the supremacy of their queen. And of what dark deeds a real Zombie making conjuror woman must do. True or not such urban zombie legends will make you think twice about what the real power of Texas Voodoo Hoodoo Can do. And don't forget to investigate the swamp child of Mama Crete, who still roams the bayous of Louisiana.m the fear of the dead was never so alive. In addition to the stories, a variety of zombie-related facts are directly explored and laid bare, including strange weird ceremonies to create such beings and actual initiations, zombies throughout history, sacred zombie and voodoo-related sites, and zombies and monsters of the Bible. Fully illustrated by several fantastic artist this fine book it contains great eye popping artwork by the none other then the always wonderful talented mind of intense dark graphic artistic endeavors of the great The Bill Oliver. The macabre masterpieces of New Orleans Mardi Gras Float for the New Orleans Mardi Gras Parade Krewe Of Mid City and a contributing artist for hauntedamericatours.com, Ricardo Pustanio. Whose talent rolls down the Streets of New Orleans each year at Mardi Gras In the most Zombified Town in America!. The methodical and very strong works of the unforgettable team of father and son Wm. Michael Mott and Ryan Mott are also featured. The featured highlights of the well written contributions of Alyne Pustanio. The always lively American Necromancer, The always controversial Lisa Lee Harp Waugh Set this book ablaze with strange tales to send a chill of fear down anyones spine. And these are just of the few brains Steiger picked to expose New Orleans And Lone Star States's Texas's real Zombie origins. Not to be out done HPI's lead investigator, an avid paranormal world explorer extraordinary, Paul Dale Roberts, an American paranormal writer, comic book publisher, reality TV performer, and former record-holding dancer. As he piys open and explores the mind of a real zombie today. And we must not overlook HPI's lovely superstar the ever beautiful Shannon McCabe. Shannon McCabe H.P.I. a ghost hunter of much fame and well repute. McCabe the owner of H.P.I. International since 2004 but have about 15 years of paranormal experience. Not only am I the owner of HPI (with over 550+ members and another branch in Michigan and San Luis Obispo, New Mexico, Fresno), Shannon has written many articles for Haunted America Tours, and have been on many paranormal radio shows. (Haunted & Paranormal Investigations International): H.P.I. not only investigates ghostly hauntings, that investigate all things paranormal from sightings of the Chupracabra, UFO sightings, Bigfoot sightings, and it seems today even actual zobies in California. together the two dynamically bring the Zombie of today into full perspective. And special attention should be paid to to the beliefs, tales and understandings of real zombie lore of Chris Holly, As she explores what secrets lie between the living and the undead. We must not over look the one and only Laurie lee Mistycah, whose zombie insights might surprise you. The ever aware Angela Thomas, brings us closer to seeing what a zombie must see through their eyes. The Zombie trauma and these insights of Pastor Robin Swope might defy explanations. The ever direct Jackie Oliver brings us much closer to what we must try not to believe about the zombie as a being we should be afraid of. One must look directly at the enlightened Julie Cole brings to the fore front and makes you question the reality of Zombies today. And of course what should someone make of the intriguing observations of the extraordinary talented psychic medium Tuesday Miles. Is the award-winning author of more than 100 books, including Real Ghosts, Restless Spirits, and Haunted Houses; Real Vampires, Night Stalkers, and Creatures from the Darkside; and The Werewolf Book. He is a regular radio guest on the Allan Handelman Show, Coast to Coast, and Jeff Rense's Sightings. He lives in Forest City, Iowa. His direct no nonsense approach and genius in "Real Zombies, the Living Dead, and Creatures of the Apocalypse", raises the bar to a height that is certainly hard for other undead books to try and hurdle. Steiger as always delivers the goods. The truths the realities and the myths and magic behind all the subjects he focus his curiosity of the paranormal world upon. And Real Zombies, the Living Dead, and Creatures of the Apocalypse is no exception to that tradtion or the rule. The Zombie Survival Guide is your key to survival against the hordes of undead who may be stalking you right now. Many today look at this as being the bible or handbook to what real zombies are all about. In the paranormal world there is a movement to classify and understand everything. Local and national titles look to shed light on all the dark places of the world and demystify what we have always had a hard time explaining. What happens to those elements of the supernatural that cannot be classified easily? They often get lumped together and fall into the heading, the unexplained within the unexplained. Zombie stories usually end up there, and Zombies: A Field Guide to the Walking Dead by Bob Curran looks to explore that crack and see where these stories might live. Dr. Curran has long been known in the field for his titles on British myths and vampires, and he has previously touched upon the subject of the undead, but Zombies is his first work to explore the phenomena from a literary and sociological angle. It would be hard to give a complete picture of the history of the undead without this approach, and Curran’s academic side allows the reader to be firmly placed with both feet on the ground while understanding there might be something behind the folklore that rings true. Zombies tells the history of the supernatural being, from ancient Egypt to fairly modern times, all the while offering the reader a chance to admit the stories might be nothing more than the remains of oral history. Zombies are such a crucial element to some cultures, and the collected accounts say something about the societies that create them. In uncovering some of these old myths, Curran has a platform to discuss the issues of those cultures. This at times can be redundant, but the stories themselves keep the reader invested. One of the more historically relevant chapters of the book recounts the people who made their living in the early days of European medicine by stealing bodies. From hopeful young doctors to kings of the lower classes, these hunters looked to advance our understanding of the human body, and line their own pockets, by digging up and dragging the dead. Curran lifts some of the darker characters in history to the level of twisted Robin Hoods, and the comparison is both eerie and literary brilliant. The same hand skillfully tells the tales of the half-dead, or criminals who were unsuccessfully executed and lived to tell the tale. The book follows in the tradition of field guides by New Page and other publishers who merely look to get the information out there, and for that reason should not be purchased by people looking to zombie hunt or to use it as an actual field guide. There is little mention of stories in the past decade and very little attention given to American cases. The book is much more about the big picture and less about scary stories to keep you up at night. Zombies: A Field Guide to the Walking Dead is proof there is still room in the paranormal field for books that look at the old mysteries, and acts as a reference book for people who have a general interest in the unexplained. Dr. Bob Curran uses the vehicle of zombies to tell is something about ourselves, and if zombies do in fact say something about who we are, perhaps the fact they continue to escape a clear classification points to just how mysterious our civilization is. So, you've been bitten by a zombie? But there's no need to panic! Yes, your life will be undergoing a major transformation, but this doesn't have to be the end-all it once was when the Disaster first hit. There have been significant breakthroughs in the last decade in helping you keep significant parts of your wit and dignity. Together we can limit the damage. New skin-care techniques to help ward off "rotting flesh syndrome"
Completely Revised and Updated Since the Containment Zone Disaster! "Face it, being bitten by a zombie is inevitable. Thanks to this indispensable book, we can finally stop making survival plans and start making the most of our new lives as zombies. Even for the uninfected, Zombies For Zombies is a scream." The "New Vampire"... The Zombie is now a creature of great debate. Is it a poor spawn of a half brain dead Vampire? The Complete Idiot's Guides(r) have explored the world of vampires, werewolves, the paranormal, and now the latest book in the "creepy" series is The Complete Idiot's Guide(r) to Zombies. This book brings the world of zombies chillingly to life-in a manner of speaking-covering everything readers need to know about them. •The voodoo zombie, the viral zombie, and the whole zombie family. •What zombies and the delicious fear of them say about human psychology. •Zombies in American culture: in film, from the Romero classics to the Living Dead flicks that are so bad they're good, and in fiction, video games, comics, and more! •The zombie survival phenomenon-of course they're not real, but that doesn't stop people from having loads of fun pretending they are. Nathan Robert Brown is a doctoral student of mythological studies at University of Texas at Arlington. His academic and professional works have led him to do extensive research in the areas of world mythology, folklore, urban legends, ancient civilizations, and world religions. Nathan is the author of such books as The Complete Idiot's Guide(r) to Werewolves, The Complete Idiot's Guide(r) to the Paranormal, The Complete Idiot's Guide(r) to World Mythology, Fallen Angels of Vengeance, and World Religions at Your Fingertips. From a master of zombie fiction and a founding father of “splatterpunk” The one and oly King og Horrorr Kings Stephen King that is. Now comes a mind-bending anthology of 32 new and classic stories from both renowned horror writers and rising stars. Vampires and Ghosts, this anthology of 32 stories is set in a world where the dead have risen from the grave to consume the living. This rich collection showcases the best of the genre—from short-story masters such as Stephen King, Neil Gaiman, Ray Bradbury, and Poppy Z. Brite; zombie stalwarts such as David J. Schow and Jack Ketchum; “bizarro” founders such as Carlton Mellick III; and popular up-and-comers such as Max Brooks and S.G. Browne—and will satisfy the insatiable hunger of zombie fans everywhere. Sure to sate the hungriest zombie fans with classic as well as contemporary servings of tangled entrails and other unspeakable meals, Zombies: Encounters with the Hungry Dead will be shambling out of bookstores in October 2009. John Skipp is a New York Times bestselling author and editor, whose 18 books have sold millions of copies in a dozen languages worldwide. His first anthology, Book of the Dead, laid the foundation in 1989 for modern zombie literature, bringing George Romero's vision of the dead next door to new levels of scope and intensity. He later edited three more zombie anthologies, including Mondo Zombie, which won the Bram Stoker Award for best anthology. From splatterpunk founding father to hilarious elder statesman, Skipp's legendary horror works include The Light At The End, The Scream, Jake's Wake, and The Long Last Call. Skipp's tastes and skills as an editor have evolved considerably since his Book of the Dead collaboration days with Spector. That seminal collection and its sequel Still Dead are highly prized collectibles viewed as being the foundations of modern zombie lit. (Those who have read stuff from Permuted Press' den of hacks understand what a mixed legacy this is...) The tendency towards mindlessly excessive sensationalism and lack of meaning in modern zombie fiction also can be seen in the first two Skipp & Spector books, so as anthologies they were both awesome and also a bit tiresome. The years since these initial releases have not been kind to those zombie fans who value both literary quality and horror. Basically we have Brooks' World War Z and arguably David Wellington. Besides these two, we have mounds and mounds of shoot-em-up rip their guts out stuff that is part of the bipolar nature of the horror section at Borders. We have lame romantically idealized vampire / demon bodice rippers meant to appeal to goth chicks cutting junior hs classes, and at the other extreme there's zombiepocalypse end o the world entrail munching stuff meant to appeal to the nerdy guys reading Fangoria and Guns N Ammo in the back of study hall. It was pretty interesting to see a new Skipp anthology out; would he continue to wallow in nihilistic gore or would he seek a new path? I am happy to say this new collection is balanced and entertaining, and shows a lot of talent without being much gentler or kinder. There is a two section divide, "classic" zombie tales with usually single cases of reanimated corpses like the old fashioned pre-Romero stuff, and then the more modern zombie plague stuff. To be precise, we have 12 "classics" and 20 "Romero" style tales. The classics are what gives this anthology its dose of literary merit - the truly spooky and subversive "Lazarus" by Andreyev leads things off, and then we have some classic old school pieces by Sturgeon and Bloch, along with a witty tale by Saunders. The excerpt from King's "Pet Sematery" is going to be a tad confusing for those unfamiliar with the concept of that novel, but it still works as a stand-alone and is much better than the mediocre and over-anthologized "Home Delivery" tale also by King. The Romero section also has a few surprises. Those of you who don't own "Book of the Dead" will be reasonably pleased to find that 9 out of the original 16 tales in that book are found herein. The good news is that they are probably the best portion of that original book (with the exception of the excluded Bryant "Diner of the Damned" piece which I loved.) The bad news of course is that if you do own that volume, you are now informed that you already own 9 out of the 34 stories in this book. There are 4 pieces from "Still Dead" in here also, so if you own both of the original S&S anthologies, you may want to think twice about picking this one up. Speaking of politics, I am thrilled to report that there are no "zombie political action campaign" (ZPAC) pieces here as were seen in Adams' uneven "Living Dead" anthology. That volume had zombies rising to vote for an anti-Second Amendment politician, zombies rising because of racist violence, zombies rising to protest hate-mongering in the War on Terror, zombies rising to protest anti-environmental corporate behavior, zombies rising to protest lack of affordable day care for the poor and middle class...well, only kidding on that last one. Blech. Thankfully we also have zombies in all of the Skipp stories, unlike three pieces in the Adams collection which, well, had no zombies in them. The absence of civics lessons and the presence of the subjects of the anthology's title in all of its stories is reassuring, at least in comparison with the other big collection of recent years. How about overall story quality? Actually, surprisingly enough, I was very impressed. The Adams book though it had its flaws was a good read because of the high editorial standards exercised, and I was thinking Skipp was going to be more tolerant in letting kind of pulpy stuff in, but his collection though occasionally nasty, is of uniformly high quality. You may not like all of the stories, but they are not as deriviative and simplistic as some of the original Book of the Dead tales were, and they are head and shoulders above the various low budget zombie fic anthologies being cranked out by RPG companies and vanity presses. Some of the pieces herein are elegant even in mainstream literary terms - the Bradbury piece, the Saunders one (which is pretty funny as well) and even the neat aqua-zombie story by Steve Duffy. Skipp also wins praise for his thoughtful and enthusiastic notes for each story. The "media and historical reference" section in the back of the book is both incomplete and kind of meandering so view this as a reading book not a reference one. The only real problem with this anthology is that if you have been following the field of zombie anthologies diligently, you will already have read most of these stories. By my count, of the 32 stories here, a person owning Book of the Dead, Still Dead, and Adams' The Living Dead will have read 16 stories herein, i.e. ½ of the volume. If you don't own these earlier collections, or maybe if you just own the recent Adams one, this collection is a good buy. From the Stone Age to the information age, the undead have threatened to engulf the human race. They’re coming. They’re hungry. Don’t wait for them to come to you! This is the graphic novel the fans demanded: major zombie attacks from the dawn of humanity. On the African savannas, against the legions of ancient Rome, on the high seas with Francis Drake . . . every civilization has faced them. Here are the grisly and heroic stories–complete with eye-popping artwork that pulsates with the hideous faces of the undead. Scripted by the world’s leading zombie authority, Max Brooks, Recorded Attacks reveals how other eras and cultures have dealt with–and survived–the ancient viral plague. By immersing ourselves in past horror we may yet prevail over the coming outbreak in our time. During a zombie outbreak, 98% of individuals will have to destroy an undead opponent without the aid of a firearm. Will you be ready? The Zombie Combat Manual is a comprehensive guide that demonstrates how anyone, from seasoned fighter to average citizen, can become an effective warrior in the inevitable battle against the undead.